If I am not mistaken, Makati Coliseum and Makati Cockpit Sports Arena are one and the same. The Makati Coliseum is an indoor sporting arena located in Makati, Philippines. 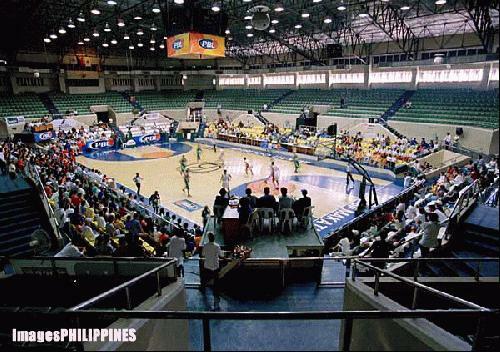 Built and operated by the Makati City Government, the coliseum has played host to the basketball games of the Philippine Basketball Association, the Philippine Basketball League, the National Collegiate Athletic Association, the University Athletic Association of the Philippines, and the National Athletic Association of Schools, Colleges and Universities. It has also been the venue of major boxing events, as well as conventions, concerts and sports festivals. Makati City Mayor Junjun Binay is facing another graft complaint at the Office of the Ombudsman after the former Makati Cockpit Sports Arena operator filed the complaint against Binay and other city officials for giving a new operator the permit to run the arena. According to a Monday report on GMA 7 news program “24 Oras”, Binay closed the arena in 2011 because the then operator Jose Orillaza was not paying the right taxes and did not have the mayor’s permit. The arena was opened again in 2014 under the supervision of a new operator named Gerald Go, Orillaza’s former employee. Orillaza claimed that Go was merely Binay’s dummy. Orillaza himself had admitted before the Senate that he was a Binay dummy as the president of Omni Security. Orillaza also explained that his company WTJ Sports and Amusement Corporation had the right to operate the arena until 2025. Despite this, Orillaza alleged that Binay hastened the franchise’s transfer to Go. Go had submitted a letter of intent to operate the sports arena on May 14, 2014. On May 27, and without the other required documents, Binay approved an ordinance that granted Go the franchise to operate the cockpit arena. “Pina-struck po nila ang lahat. Pati ho ‘yung pagkakansela ho ng aming prankisa ay hindi ho kami binigyan ng notice,” said Orillaza. Attached to Orillaza’s complaint was an affidavit supposedly from Go, in which he claimed that the real people behind the re-opening of the cockpit arena were City Administrator Atty. Magdaleno Mendoza and Councilor Ferdie Eusebio, and that Go was merely a front for them. GMA News was unable to reach either Go, Mendoza, nor Eusebio for comment as of posting time. Meanwhile, Binay’s spokesperson Councilor Mayeth Casal-Uy said that Orillaza also filed the same complaint before the Ombudsman in 2013 but it was ignored. “It’s still part of the demolition against Makati,” Uy countered.